I honestly think I have found my new favourite series of children’s books- Little People, Big Dreams . 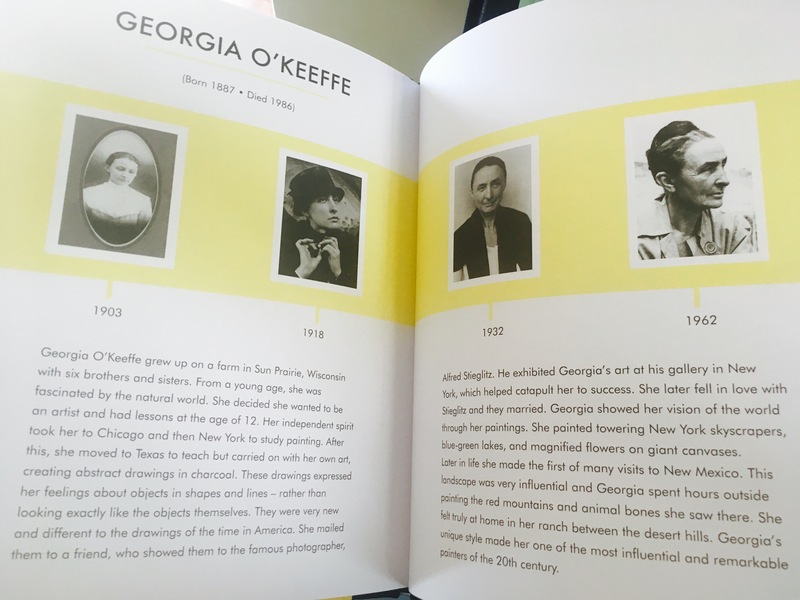 These incredible books written by Isabel Sanchez Vegara tell the true stories of remarkable people from Georgia O’Keefe (one of the greatest artists of the 20th Century) to Nobel Prize winning Scientist Marie Curie. Not only are these hard back, children books utterly stunning, like individual pieces of art work, but they are incredibly inspirational. Their true stories of outstanding women empower children to believe in themselves and their dreams. Inspirational- What makes these stories so inspiring for children is they are relatable. 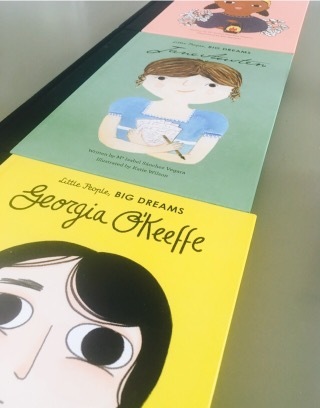 Despite the amazing achievements the women in the books accomplished, each book reminds children that these women started off as young children too, with big dreams! Proving to children that they can accomplish their own big dreams aswell- regardless of the obstacles in their way. The books show the difficulties and challenges these women faced and how they fought to overcome them. Educational- It is incredibly important that these stories are told and that the future generations learn from them. 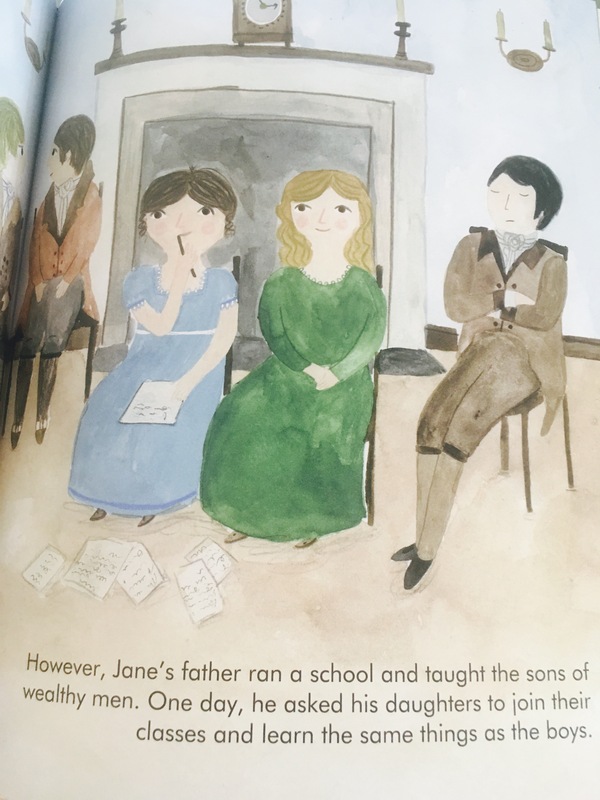 What is particularly brilliant about these books is not only do children learn through the story, but the back pages also provide a time-line and history of their lives. They also signpost children to other books to read, to find out more about each person. 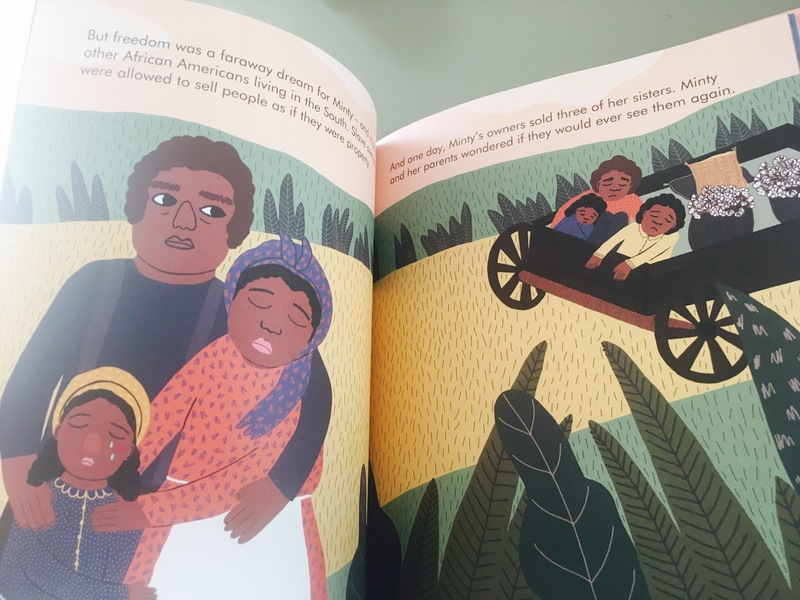 Accessible & Appealing to Kids- These books are truly beautiful and their bright coloured front covers with cartoon pictures of each of the women- really captures the attention of children. The illustrations by Katie Wilson are phenomenal. They are unlike any history book I’ve seen! The choice of words used to tell the stories perfectly strikes the balance of making them accessible and appropriate for young children- without missing out on important content. These books look terrific to introduce children to non fiction and what a wonderful collection – celebrated and inspirational women! They are wonderful aren’t they, love them!